B2B Marketing is something lately a lot of people talk about and we cannot overlook this topic as Dreamix’s partners of course are all businesses. For that reason we’re going to share with you some basics that unfortunately many companies have not yet adopted in their own strategies as they won’t necessarily bring you conversions, but they are the foundations on which almost every successful marketing campaign is based. Sounds a bit boring right? Well, we should always have in mind that no matter what we’re doing there’s already someone out there doing this, or something quite close to what we are, longer and better than us. For most businesses this could be a bit discouraging, however that’s the best possible opportunity to learn. One of the values in Dreamix is constantly striving for mastery and therefore learning from other people success is kind of a given, but we would highly recommend it. Where are your competitors advertising? It’s probably in the channels that have already converted most for them and hence have the highest chances of good conversion rate for your company. What is their marketing message? Well if they keep using it it probably works – since they have good marketing budgets and haven’t fired their marketing employees yet. We need to remember – having all this information about your competitors will not magically bring new customers or partners and it might not give you the best possible marketing strategy anyone could think of – but it’s an incredibly reasonable place to strat. After you’ve gathered all information about your competitors and you feel like you could walk straight into their office and start greeting them, the most important part of any marketing campaign kicks in. Know your AUDIENCE! Having information about your audience is what makes the difference between most of the successful and unsuccessful campaigns. Even if you’re B2B you still have decision makers. Who are they – job title, favourite magazine, how much time they spend on social media, what is their hobby and what scares them most in making the wrong choice when choosing a partnering company? You must have all of this information in order to improve what you’ve already done after checking out your competitors campaigns. The new (already old) rule – personalization is crucial! You will need messages crafted especially for those decision makers, placed in medias which they are visiting, soothing fears which you know they have. Sounds creepy right? A little bit, but it’s the only way one could know that your product is exactly what they need in time when we’re flooded with information. SpyFu – For competitors research. Albacross – For taking a sneaky eye into companies that have visited your website. Ahrefs – For content planning & SEO. 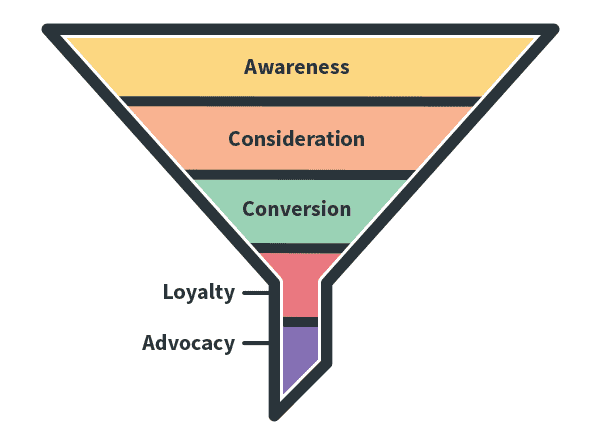 We shouldn’t forget that every B2B sale is B2C in a way – you need to make sure that your decision makers will have the easiest possible way to go through every step of the marketing funnel. And as in every marketing strategy – measurement is crucial because it shows us what’s working where we should redirect our budgets, what do people engage with and what actions we should take next in order to have the best possible marketing campaign.